Most days, most of us pay some attention to what we wear, the clothes we put on when we get up to face the day ahead. I tend to always wear a touch of blue, mint or teal every day, as those are my favorite colors. Isn’t there to be more than that for us each day? More than coordinating our shoes to our purses, our ties to our shoes and belt? Beyond what we all see on the surface? Deeper than our feelings of love for a piece of jewelry we were given by our spouse or children? First and foremost, we are to clothe ourselves with His Presence. Each day, every moment. Inviting Him to draw so near, we can sense Him all around and within us. Closer than an intimate embrace, as close to our humanity as is spiritually possible, as only God can do! For visual sake only, think of this as our intimate apparel we are to wear each day. Just as the warrior prepares for battle, whether on the battle or sport fields, we are to put on our protective gear each day. So that we can stand firm against enemy assaults, covered with His armor. When you read these verses, it becomes clear that God literally wants us to imagine putting this armor on, and put our faith in Him as our Protector. Part of what we need to be intentional about putting on is how God sees us now. Righteous, holy, made in His likeness. This means taking a moment every day to filter our view of ourselves through God’s eyes. Over top of His Presence close to us, and His armor on us, we are meant to clothe ourselves with His attributes. So people will know we are His, and we will treat one another as His, with His gentleness, compassion, kindness, humility, and patience. I look at this as our regular clothing, our tops, skirts, pants, sweaters and socks. Over all of this comes the best part of all, next to God with us, His Presence. We are to adorn ourselves with His loveliness. His majesty, glory and splendor with confident dignity as His beloved. I like to think of adornment as the jewelry which puts the finishing touches to our daily outfits. 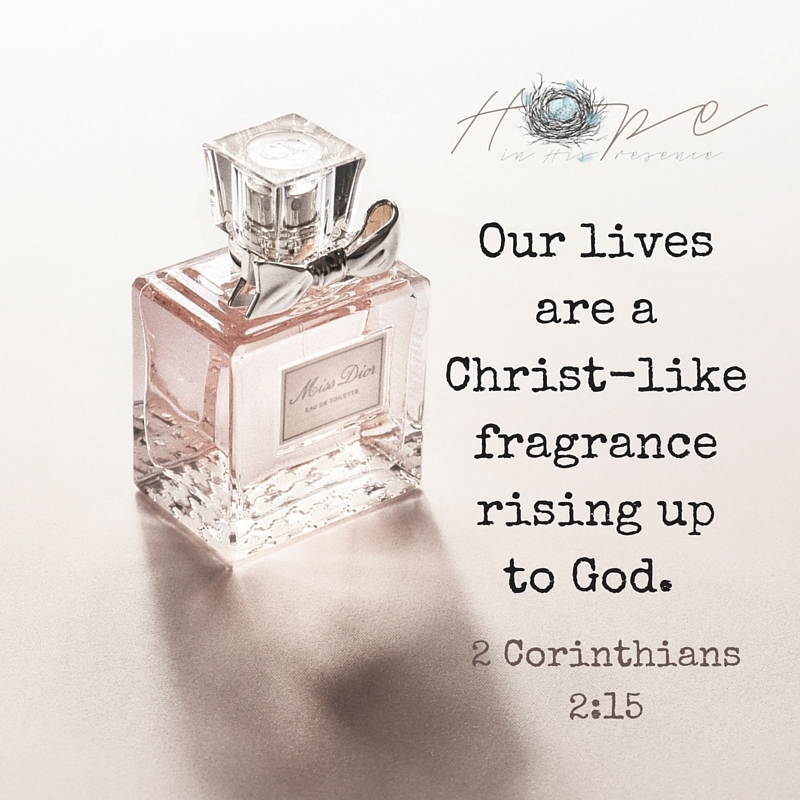 When we put on His Presence, wear His armor and clothing, our lives produce a beautiful, pleasing fragrance for God to enjoy. May we take the time to dress with Him every morning, before we put on the roles or begin the work awaiting us each day. Love this. Our pastor talked about this very subject yesterday. Great pictures. I’m your neighbor as Cisneros today. This is so powerful and beautifully written. I have much to ponder because I know that He wants this for me too. I am a jeans and tee shirt 68 year old, but want the beauty of the Lord to shine over all and exude through to the world I am placed among. Praising God for your words to me. Glad you are a near-neighbor at Cisneros Cafe. Such a great post. May we clothe ourselves with the humility of Christ indeed. I am not usually a fancy dresser. But recently some friends introduced me to LulaRoe and I love how the clothes makes me feel. I find that when I feel good about myself and how I look, it is so much easier for me to shine like the fearfully and wonderfully made individual that God made me to be. Blessed to be your neighbor at the RaRa linkup today. Thanks, Carolina 🙂 Blessings back on you!